Mary Branson is Artist-in-Residence at the Houses of Parliament, who specialises in producing site-specific art installations. 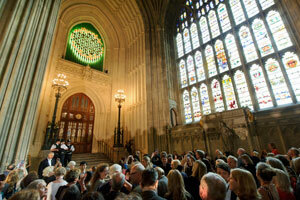 Mary was commissioned to create a new piece of artwork – New Dawn – the first piece of contemporary art to be placed in the Palace of Westminster, which will sit in St. Stephen’s Porch. 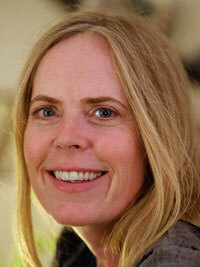 She holds a first class Honours degree in Fine Art from the Surrey Institute of Art and Design and an M.A. in Art and Space from Kingston University, and Mary was nominated for the Beck’s Futures prize in 2005. One hundred and fifty years to the day since the campaign for women’s votes began, ‘New Dawn’, an artwork celebrating all the individuals involved, was revealed on Tuesday 7th June in Westminster Hall, the oldest part of Parliament. 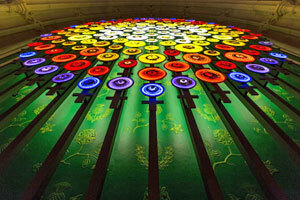 New Dawn is a six metre high light sculpture above the entrance to St. Stephen’s Hall in the Palace of Westminster. 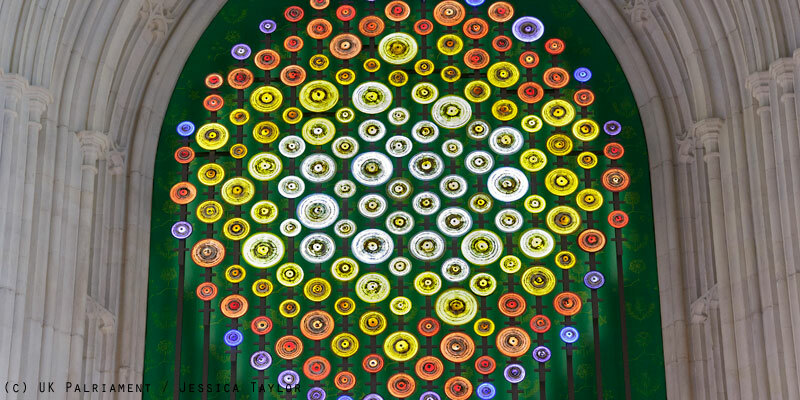 It has 168 illuminated blown glass discs, which refer to the scrolls of the acts held in the Parliamentary Archives – where the legislation which brought women the vote after a seventy year campaign is stored. 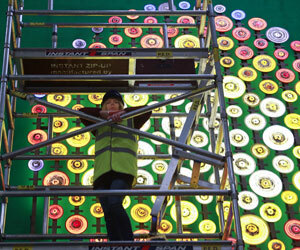 The colours of the discs are those of the various suffrage organisation’s banners. The lighting is linked to the tide of the Thames outside, following the ebb and flow of the river. I’ve always loved of the aesthetic of big engineering and technology – my dad was a flight engineer and I was a stewardess for British Airways for ten years. From a child I was used to flying in empty jumbos and traveling to brand new, shiny airports. After that I became a scuba diving instructor in Malta, and there was always lots of glamorous kit around, alongside the beauty of nature. I think some of that has rubbed off – I find the language of engineering very creative. 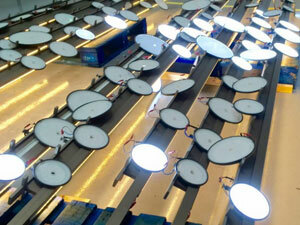 I’m not afraid of technology and because I often work with light and sound it has become part of my process. I spent six months researching the suffrage movement in parliament, talking to historians, academics and MPs, in the archives and generally hanging about being a sponge. I had a tough period where I felt almost overwhelmed by the scale of the thing, but I knew I wanted it to be bold, unapologetic. I told myself to relax and eventually it all fell into place and just felt right – you have to trust yourself. As always, to make something look simple there’s a lot of complexity involved. Everything is bespoke, and my wonderful hand blown glass by Adam Aaronson had to fit within a very tightly engineered structure. I had Pugin’s voice in my head; everything that was part of the artwork had to be beautifully crafted but also functional – no unnecessary embellishments. It’s also 50ft off the ground in a very old, very busy building – so there was a fair bit of late night fiddling. I have a great team of assistants who worked with me for more than a year on this project; CGI [computer-generated imagery], rapid prototyping, precision metalworkers, lighting designers, software engineers for the tidal link, as well as some great technicians to actually build and troubleshoot the piece. As an artist, I don’t really acknowledge boundaries. If I visualise something, I know that there is always a way I can push technology to help me realise something that might seem difficult to others. I’m not restrained by the parameters that say, a pure engineer might have. I love the clash of discipline between art and technology. Obviously I am very honoured. I’m incredibly lucky. I try not to think about it too much though – and just concentrate on the art. I want the piece to be a worthy celebration of all the brave people who fought for equality. I wanted it to be sympathetic to the architecture but also be relevant to women now, so it was important to me to have a strong contemporary component. Immediately I’m touring my prints, which are based on the concepts of New Dawn. I’m about to start work on a contemporary dance collaboration for later in summer, and thinking ahead to a big show featuring three large installations, which I have been planning for a few years now. Book tickets to see New Dawn here.